Use the form to contact me. 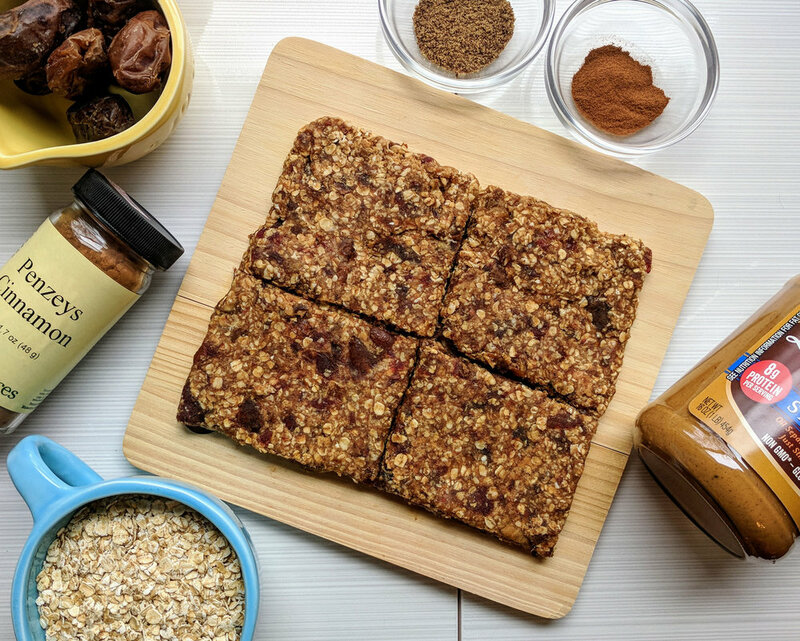 These no added sugar, no bake peanut butter date bars are packed with flavor and nutrients. The dates add a perfect boost of sweetness while adding fiber, potassium, calcium, and phosphorus. Add pitted dates to a medium bowl and cover with water. Allow to soak for 10 minutes to soften. While dates are soaking combine all dry ingredients in a medium to large bowl. After dates have soaked removed from water and chop. Add chopped dates and peanut butter to the dry ingredients and combine well. Place on wax paper and flatten with your hands or a rolling pin. Using a knife slice into 6 even pieces. Enjoy or store in the refrigerator. Peanut butter and chocolate are such a delicious combo and this recipe is no exception! Its the perfect use for that leftover peanut butter that never wants to come out of the jar! Add oats, milk, and chopped banana to peanut butter jar. Combine and cover with jar top. Allow to refrigerate overnight and enjoy cold or warm in the morning!